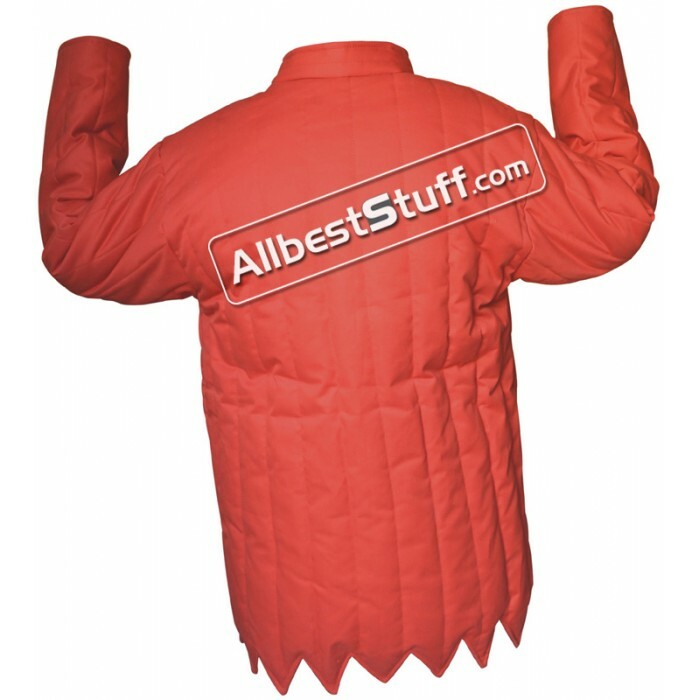 14th CenturyCotton Gambeson with Zig Zag design available in choice of color. 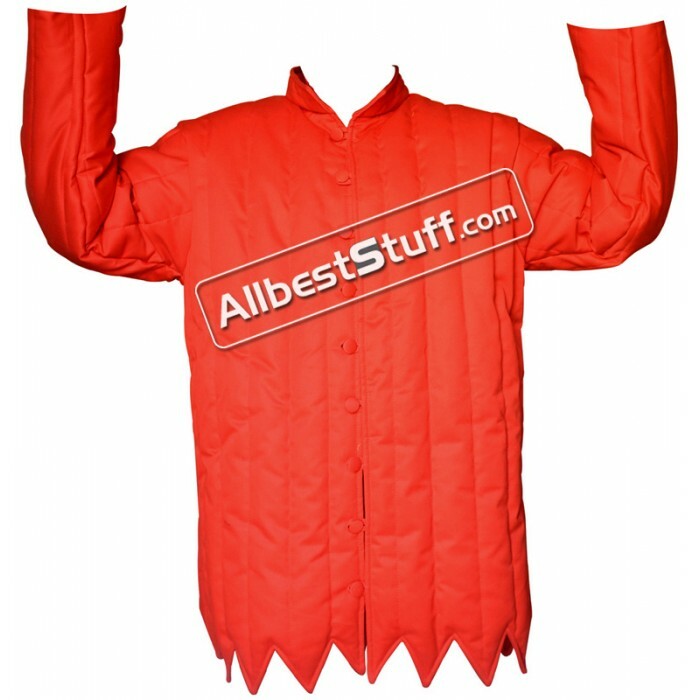 Perfect for role play or reenactment with this colored light weight padded gambeson. 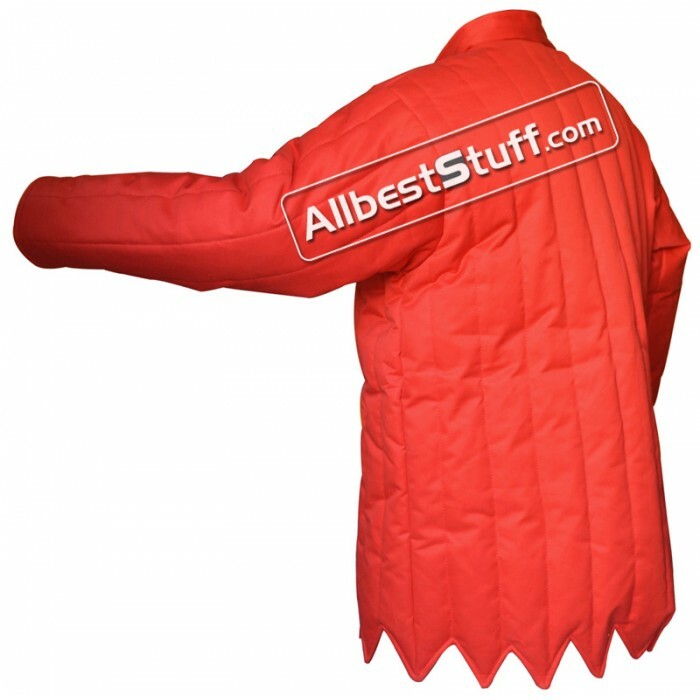 This gambeson is handcrafted, sizes will vary slightly - so these measurements should be taken as approximations. We have given measurement option to choose from a size closer to you. 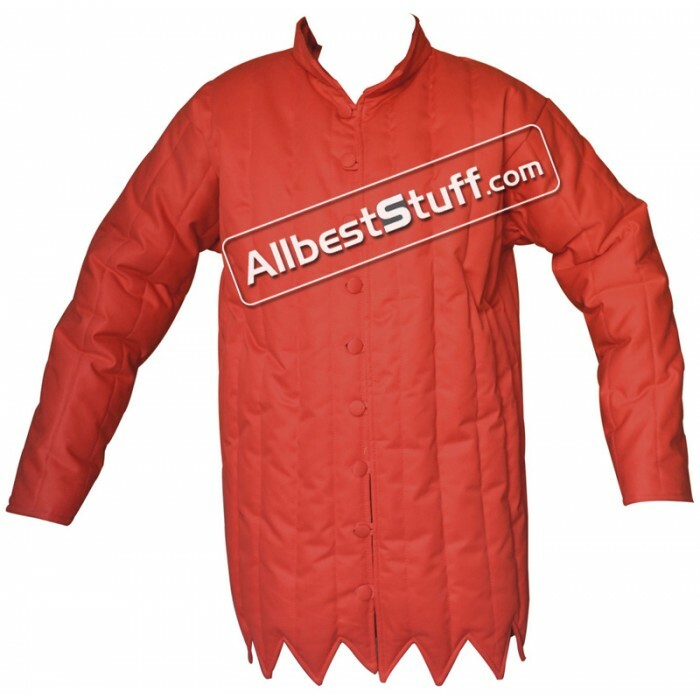 Buy a Chain Mail voider along in this order and we will stitch it on the gambeson for you without any additional cost. 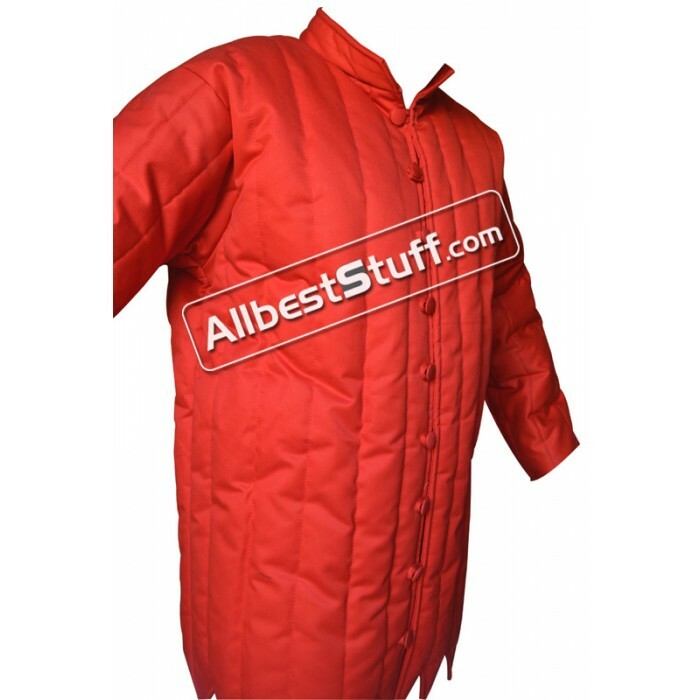 In order to avail this offer, please send us a note under order detail section during checkout OR email us at "contact@allbeststuff.com" accepting the offer else by default the voider and gambeson will be sent as 2 different products.